Along with Namdaemun Market, Dongdaemun Market is one of the oldest and best- known markets in South Korea. Located in nearly center area of Seoul city Great East Gate (Dongdaemun) Market is getting most popular among young folks, retailers, and even wholesalers with the constructions huge fashion outlet buildings around it in recent years. Originally as clothe market, Dongdaemun Market has 30 different shopping centers around it. The whole shopping area around Dongdaemun is now the largest wholesale and retail clothing market area in the nation as well as in the city. 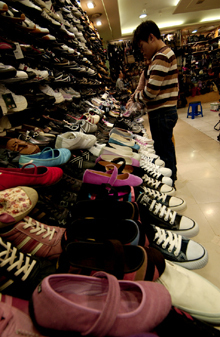 The shopping centers in this market include Pyungwha Market which specializes in clothes. Of all the shopping outlet buildings in Dongdaemun area, Doosan Tower and Miliore are the largest shopping centers selling clothes. There are some 30,000 stores within Dongdaemun Market's 30 shopping centers. It has over 50,000 small- and medium- sized manufacturing companies supplying the stores with goods ranging from textiles, clothes, shoes, sports goods, stationery, toys, household goods, to accessories. Being sold in this market is a complete range of wearable items that cover from head to toe, literally speaking. Prices are in inexpensive, since many shops here are dealing with individual customers at retail prices. Most shops and stores have their own a manufacturing factory or subcontract, which enables them sell the items at price 30 to 70 percent cheaper than those of the department stores in major cities. 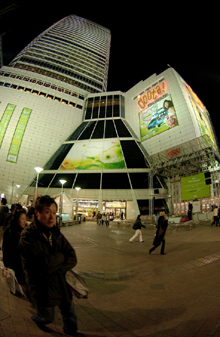 Large shopping malls including Doosan Tower, Migliore, and Freya Town offer goods at half price. Dongdaemun Market area has two main functions – wholesale and retail market. Dongdaemun Market has long served its major role as a wholesale market. But in recent years it functions more as a retail market. Actually, Dongdaemun Market area is divided by the main street into two major sections. Section One is on the side where Doosan Tower is located, and Section Two is the side of Dongdaemun Stadium. Tall and huge shopping mall buildings in Section One basically sell wholesale and retail goods, but deal mostly with general customers and tourists at retail prices. Since a lot of foreign tourists visit the area money exchanges and information desks in the area staffed with English speaking guides. 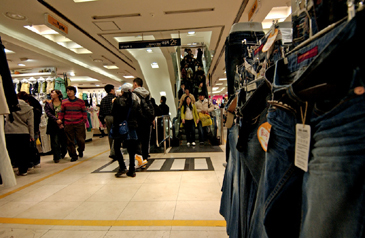 The shopping malls open from 10 a.m. to 5 a.m. of the next day, targeting at general customers. Within these malls decorated with a pleasant interior, rhythmical music are playing all day long to curry favor with young customers. 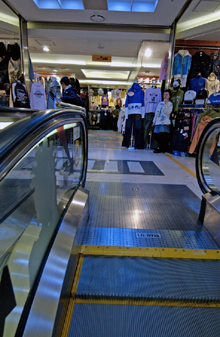 Major shopping malls in the area are Doosan Tower, Migliore, Freya Town, and Hello apM. On the other hand, shopping malls in wholesale section offer items both in wholesale and retail, but mainly sell in bulk. This explains the reason why shopping malls in the area usually operate between 8 p.m. and 8 a.m. or opens 5 p.m. the next day for the convenience of wholesalers. The peak time comes late at night through early morning. Since most shops deal with the wholesalers, there is no dressing room. In many shops in the area refunds and exchanges are not guaranteed. This means that customers have to make sure that they check the quality and size thoughtfully before purchasing. 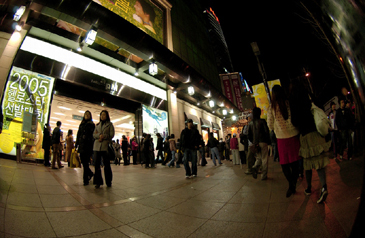 Major shopping malls in this area of wholesale are Designer's Club, Migliore, Nuzzon, and Gwanghee Fashion. This area is the new gigantic town that never sleeps. Many shops in the area lit, making the area a huge bright spot in wee hours of the night. The shopping centers are open 24 hours, serving as a good cultural venue for young generations to hang out. Wholesale market opens from 8 p.m. to 9 a.m. and the retail market opens from 10 a.m. to 6 p.m., which makes this market works 24 hours. As aforementioned, a variety of cultural events take place in the area. In front of such major shopping centers as Doosan Tower and Migliore set up a stage complete with fantastic lighting system. Events like singing or dance are daily occurrence here. Normally cultural events are organized by these shopping malls between 7 p.m. and 9 p.m. inviting the youth to dance or sing with professional entertainers on the stage. Of course, the cultural performances are aimed at boosting the image of the area in salespeople's effort to attract more young folks. Major shopping malls in Section Two include Designer's Club, Migliore, Nuzzon, Gwanghee Fashion Mall, Jeil Pyeonghwa, and Heungin Stardom. Particularly, Jeil Pyeonghwa and Heungin Stardom draw customers in their 30s and 40s who favor goods with simple and elegant design. Younger customers – teenagers and other youths in their 20s normally opt for Designer's Club, Migliore, Nuzzon, and Gwanghee Fashion Mall. Check out "Team 204" at Dongdaemun Market if you want to find out latest fashion trends, because it is the place where most up-to-date fashion items from abroad is first introduced in the nation. There is only one-week time span between "Team 204" shops and those of Milan, Paris, or New York. Frequently, traders and shop owners in this area fly to Milan, Tokyo, Paris, or New York to get the taste of latest design and to collect samples. Designer Club, Team 204, Heyang Elicium, Migliore, Doosan Tower are frequented by young ladies seeking dresses. Such stores as Uno Core, Art Plaza, and Freya Town aim for women over 25 years old. Men's clothing can found at such shops as Heyang Elicium, Uno Core, Designer Club, Freya Town, Doosan Tower, and Migliore whereas children's clothes are available at Heungin Market, Doosan Tower, Freya Town, and Migliore. Big shot entertainers or other TV personalities are also visiting Dongdaemun Market for purchasing their costumes. Dongdaemun Market is not only nation's largest market but also internationally recognized market. Buyers from foreign countries keep pouring in this area. They come from Japan, Russia, China, Poland and Middle Eastern countries. Dongdaemun Market is on the list of tourist attractions for foreign travelers. The huge popularity of this area means busy traffic as well. The area is one of the worst areas for traffic congestion. Probably the best way to visit the area is using subway. Dongdaemun Stadium Station is the nearest stop for the market. Subway Lines No. 2, No. 4, and No. 5 all stop at this station. Dongdaemun Market was initially opened in 1905. The year Korean fell into the hands of colonialist Japan, which made Korea as its protectorate. Since its opening, Dongdaemun Market has always been one of the nation's major markets. The origin of "Dongdaemun Market" comes from the gate named "Dongdaemun," or "Great East Gate," one of the four main gates entering Seoul, which was built 600 years ago during Joseon Dynasty (1392-1910). Toward the southern area from the center of Seoul is another large market Namdaemun Market or Great South Gate, to put it literally. 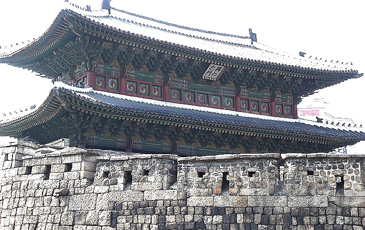 The Great South Gate or Namdaemun is designated as National Treasure No. 1 with its traditional architectural excellence. Being one of the largest wholesale markets Namdaemun is stretched over 6,000 square meters. 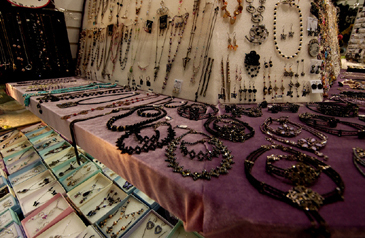 It is composed of more than 1,000 shops, stalls, retailers, and street vendors. 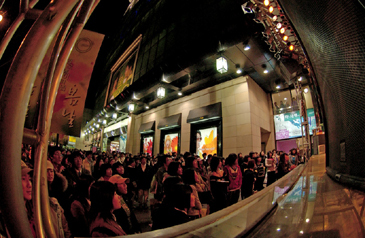 Around the market are several major department stores including Shinsegae Department Store. Customers can find almost any items they want — clothes, shoes, fabrics, tableware, flowers, vegetables, ginseng products, toys, watches, all kinds of accessories, agricultural products, and household items. 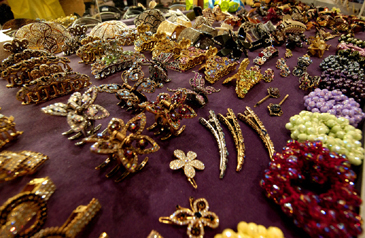 There are more than 2,000 accessories shops in this market. It is the largest accessories distribution center in the nation. 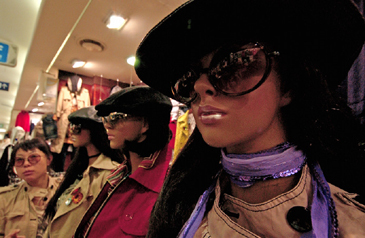 Many shops offer accessories manufactured by their own factories. Under the main street of Namdaemun-no lies a large-scale underground arcade. Foreign visitors stop by this market during their stay in Seoul because prices over here are lower by 10 to 20 percent than other markets in the city. Most striking feature of this Namdaemun Market is probably a host of street vendors lined up in the alleys and walkways. As in the same way as Dongdaemun Market, it operates both wholesales and retailers. Its geographical advantage and convenient transportation to and from Itaewon draw a large crowd of foreigners. It is located at Namchang-Dong, Jung-Gu, and central part of Seoul. Many merchants are able to speak communicative English or Japanese yet for a complex bargaining interpreters are recommended. Non-Korean currency particularly US dollars are acceptable, creating a huge black marketing for money exchanges. Foreigners say the rates are actually better than in any commercial banks in Seoul. Still, in some cases customers — foreign or local — are getting ripped off, talking down the prices are highly recommended. 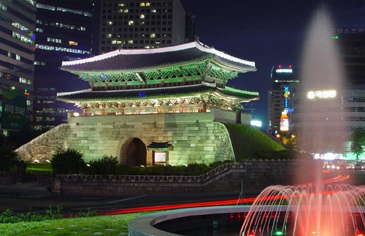 Namdaemun Market was established in 1414, thus became the oldest and largest traditional market in the entire nation. Most of the businesses in the area concentrate on wholesale, enabling individual customers purchase items at wholesale prices or at least slightly higher.